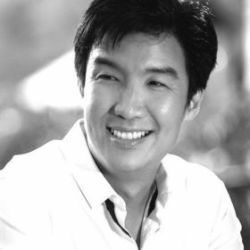 "Kenneth Cobonpue is a multi-awarded furniture designer and manufacturer from Cebu, Philippines. His passage to design began in 1987, studying Industrial Design at the Pratt Institute in New York. While completing his studies, he apprenticed for a leather and wood workshop near Florence, Italy. He went on to study Furniture Marketing and Production at the Export-Akademie Baden-Württemberg in Reutlingen, Germany, under a private and state scholarship program, and subsequently worked in Bielefeld and Munich. Kenneth returned home to Cebu in 1996 to manage Interior Crafts of the Islands, Inc., a furniture design and manufacturing company founded by his mother Betty Cobonpue in 1972. Discovering that modern design could have a new face using natural fibers and materials, Kenneth created pieces of functional art, offering an alternative to the Western definition of modern design. Today, the KENNETHCOBONPUE® brand has become known globally for its unique designs and an extensive roster of clientele, including Hollywood celebrities and members of royalty. Kenneth reveals new work each year in design shows from Milan to New York, and he speaks regularly about Southeast Asian design all over the world. He has also appeared in European television and in countless international magazines and newspapers around the world. Various Cobonpue designs have also appeared in full-length feature films and television, such as Oceans 13 and CSI." "I love rattan because it’s easy to process and use. The skin can be woven and the inner core can be used for framing. It’s versatile, light, and sturdy in the right hands. I like working with natural materials because they are sustainable, and they provide texture, warmth, and strength to my designs." "I love it when I see people relive their childhood through my designs. When they sit unexpectedly on rattan poles and sink in, when they rest on a chair made to look like noodles or when they stare wide-eyed at a gigantic flower in the living room; this sense of bewilderment and enchantment is what I love. For a moment we share a language that transcends time and space, this sense of joy that design can bring." "What inspires me the most is the drive to do even better in my craft and to continually preserve the heritage of craftsmanship in our region. Making things by hand humanizes all of us and reminds us of the splendor of the human spirit." "A space is special when it feels like home."